Comprehensive and intuitive Azure Diagram Software for Mac OS X with abundant built-in icons and templates. Drag and drop Azure symbols for designing Azure diagram freely and rapidly. 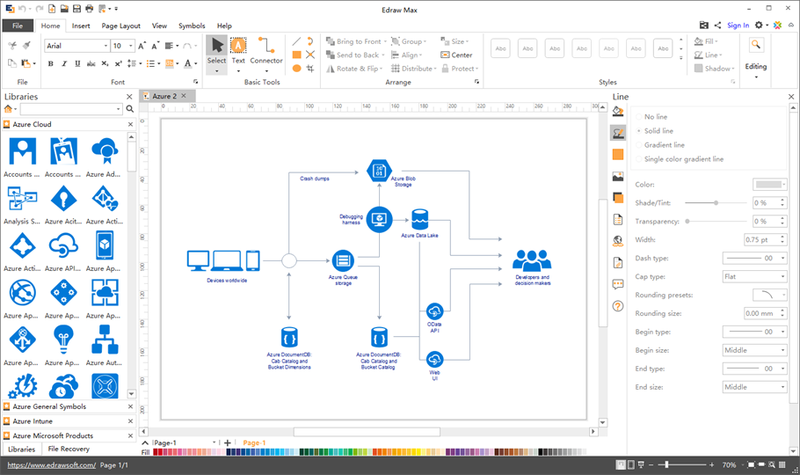 With the features of simple-to-use, visual and real, Edraw becomes one of the best Azure diagram application for Mac OS X. Users can design different Azure diagrams easily using standard Azure icons. Fluent and concise UI let people create Azure Diagram with the least effort. 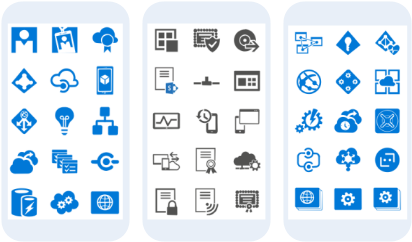 Under Azure icons group, there are 8 categories including Azure Cloud, Azure Deprecated, Azure Enterprise, Azure General Symbols, Azure Intune, Azure Microsoft products, Azure System Center, and Azure VMs covering more than 200 standard Azure icons. All those icons contribute to design accurate Azure diagrams based on simple dragging and dropping method. Users can begin to create as fast as possible with professional pre-made Azure diagram templates. Templates can be modified and edited to match personal demands. You can customize the texts, icons, layout, and font symbols to make unique Azure diagrams. 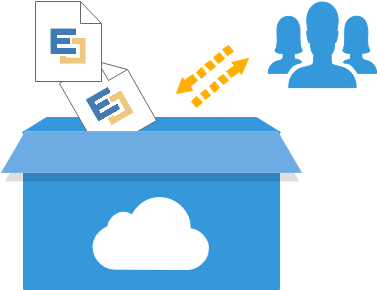 Users can use free Edraw cloud space to save their files and collaborate with team members. Besides, the Azure diagrams you made can be send via email or shared to social media websites with just one click. 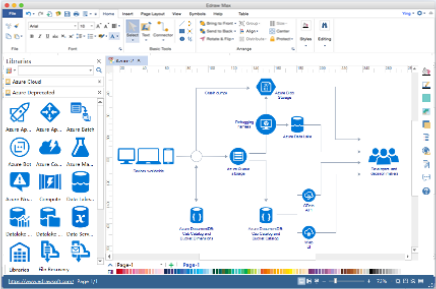 You Will Love This Cross-Platform Azure Diagram Software! 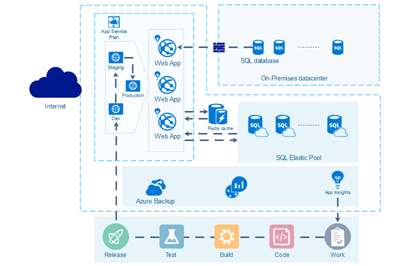 Enjoy creating Azure diagrams on multi-platforms with this user-friendly application. You'll be surprised by its abundant design icons and templates, amazed on how easy it works, and satisfied with the service and price. Have a trail now!